ICA receives hundreds of requests annually for financial support of cancer research projects. These requests are presented to the ICA Scientific Research Committee for evaluation; approval of funding is based on merit. Prof. Eli Pikarsky, MD, PhD, serves as Chairman of the Department of Pathology at Hadassah-Hebrew University Medical Center and is a professor at the Lautenberg Center for Immunology and Cancer Research at the Hebrew University Medical School. Prof. Pikarsky has served as Chairman of the Research Committee at ICA since 2013 and is also a board member of the Israeli Association for Cancer Research and former member of the board of the European Association for Cancer Research. 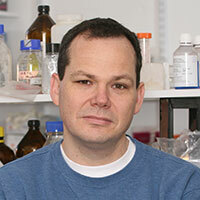 Prof. Pikarsky’s current research focuses on the intersection between cancer biology, inflammation and histopathological studies of mouse models of human disease, with the primary goal of understanding tissue aspects of cancer development by analyzing the interaction between inflammation and cancer cells. Prof. Pikarsky recently revealed that ectopic lymphoid-like structures may play a pro-tumorigenic role in liver cancer progression, the opposite to their known role in other tumor types. His current studies aim to understand the contrasting roles of ectopic lymphoid-like structures in cancer development; the mechanisms of liver inflammation and fatty liver disease progression and the role of the tumor suppressor p53 in shaping the liver microenvironment. 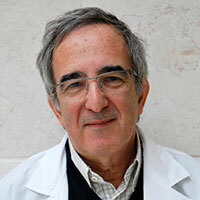 Prof. Shai Izraeli is a full professor, Director of the Rina Zaizov Pediatric Hematology Oncology Division, Schneider Children’s Medical Center of Israel, the Dora and Gregorio Chair of Hematological Malignancies Dept. 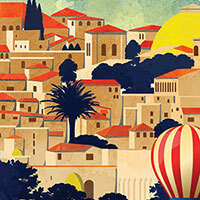 of Human Molecular Genetics and Biochemistry, Sackler School of Medicine, Tel Aviv University. With continuous support from the Israel Cancer Association (ICA), he has led the treatment and the clinical research of Israeli children with leukemia, the most common cancer in children. His laboratory research focuses on hematological malignancies and cancer predisposition syndromes as well as centrosomal biology and chromosomal aneuploidy and its roles in developmental biology and cancer. These two are merged in the study of leukemias associated with germline aneuploidy (Down Syndrome.) Among his team’s discoveries are the ERG as an important hematopoietic oncogene, and the discoveries of unique activating JAK2 mutations and of mutational activation of the cytokine receptors to TSLP and interleukin 7 in acute lymphoblastic leukemias (ALL), which have led to new diagnostic tests in children and adults. His team also studies how STIL (aka SIL), centrosomes and the hedgehog pathway are involved in the development of cancer and are developing novel therapeutics targeting STIL pathways for epithelial cancers, such as ovarian cancer. 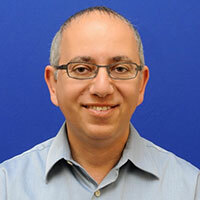 Prof Izraeli’s honors include the ICA Excellence Award for identifying genes that predict metastasized spreading in general and in the brain in particular in primary lung tumors. He current focus is on the study of the mechanism and treatment opportunity of the spread of leukemia to the brain. In 2017 he received Honorary Knighthood Award by the Italian President for promoting science and medicine of children with cancer between Israel and Italy. 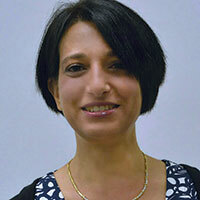 Prof. Rinat Yerushalmi, an honors graduate from the Technion Bruce Rappaport Faculty of Medicine, has been a practicing medical oncologist since 1998, currently at the Davidoff Cancer Center, Beilinson Hospital with a focus on breast cancer patients. Since August 2016, in addition of being part of the managerial team of Davidoff Cancer Center, she has headed the Breast Cancer Unit and BRCA clinic at the Institute. From 2007 to 2010, Prof. Rinat Yerushalmi joined a breast cancer group in Vancouver, British Columbia, Canada, as part of a breast cancer fellowship program. Prof. Yerushalmi has published more than 60 scientific publications in peer-reviewed journals, and been awarded several national and international awards, including the AACR Scholar-In-Training for The Cure Award funded by Susan G. Komen®. In January 2017, Prof. Yerushalmi was appointed clinical associate professor at the faculty of medicine Tel-Aviv University. Her professional daily life includes intensive clinical and research work. Effective January 2018, she is also the Clinical Director of the Breast Cancer Laboratory at the Felsenstein Medical Research Center, Tel-Aviv University, Sackler School of Medicine, Rabin Medical Center.